A business trip to Newcastle upon Tyne reminded me what an imposing, and quite beautiful, structure the Tyne Bridge is. Designed by Mott, Hay and Anderson and partly modelled on the Sydney Harbour Bridge (aka ‘the coat hanger’), it is instantly recognisable all over the world. Construction began in 1925 and the bridge was opened by King George V on 10th October 1928. Whilst it was being built, the bridge provided much-needed work in an area of high unemployment. 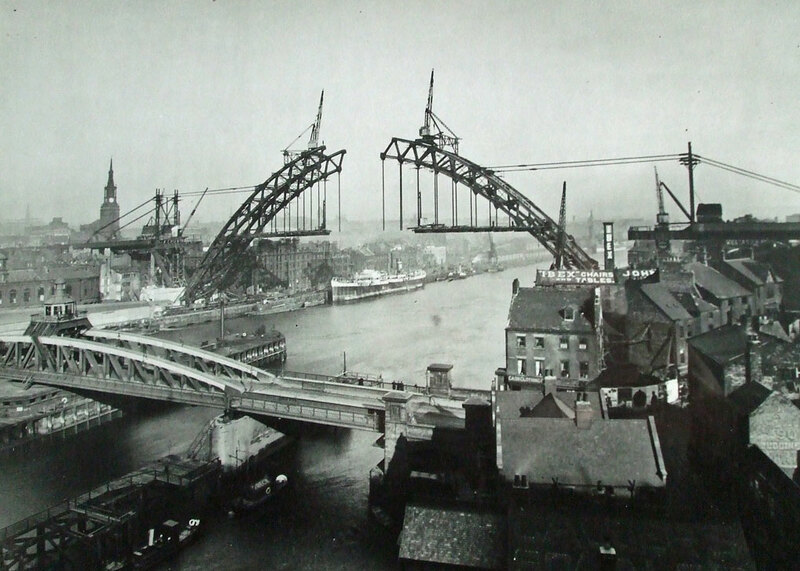 It currently carries the A167 road and many a happy hour can be spent on it during peak traffic times..
Sydney Harbour Bridge, under construction before the Tyne Bridge, had the same main contractor, Dorman Long of Middlesbrough, and was opened in 1932. The first bridge over the Tyne, Pons Aelius, was built by the Romans close to where the Tyne Bridge is now. 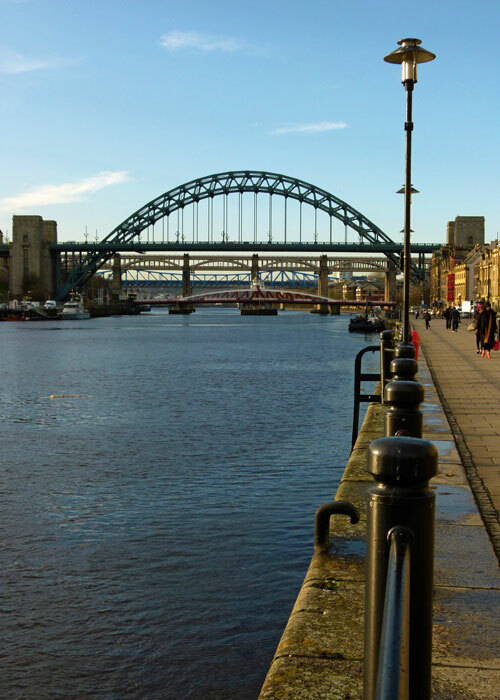 These days, there are seven bridges joining Newcastle with its south-bank neighbour, Gateshead – but, surely, the Tyne Bridge is the most recognisable of them all. 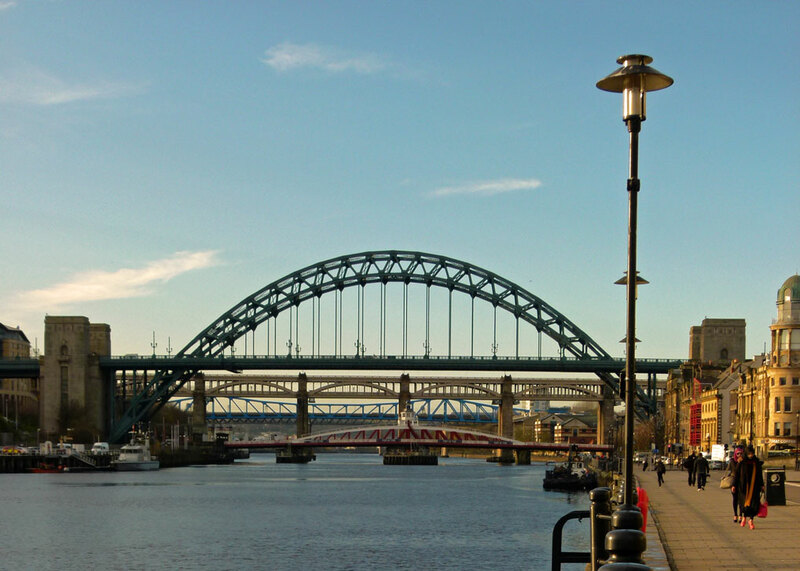 If you were drawing a skyline for a UK city, including the shape of the Tyne Bridge would immediately transport the viewer’s mind to Newcastle, North East England’s largest city. 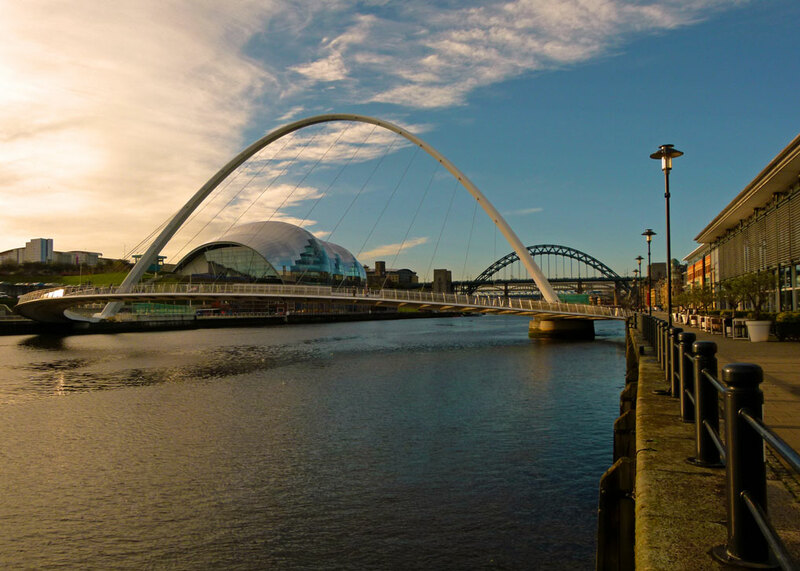 That singular association with Newcastle is a source of irritation to some in Gateshead, because the cost of maintenance is shared evenly between the two local authorities. 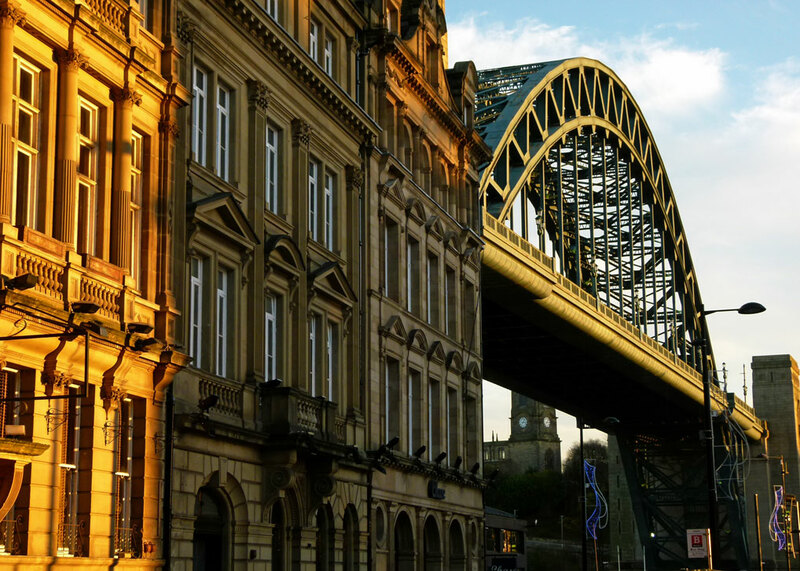 Let us just say that though ‘iconic’ is a greatly over-used word, and often a cliché, the Tyne Bridge is a much-loved icon for the region as a whole, as well as being a symbol of Tyneside’s industrial heritage. The Tyne Bridge is a single span of 531 feet (162 metres) over the river, with clearance of around 84 feet (26 metres) for ships to pass underneath. The towers at either end were originally designed to include warehouses, though these were never fitted out. Goods and passenger lifts were installed to allow easy access between bridge level and the Quayside, but these haven’t been in use for years. At a reasonable distance, the bridge is magnificent. Up close, the overriding impression is of enormous size – great, massive, pieces of riveted ironwork that would crush in an instant. It’s like a giant’s Meccano model, providing a dank and slightly intimidating canopy which seems to be permanently dripping water onto the mildewed pavement below. Under the bridge would inspire a thriller writer; it’s a place for sinister assignations. Pigeons, those rats of the skies, gather there too; and don’t get me started on the kittiwakes. Wonderful post and pics, Mike. The first time I visited Newcastle, I asked at the information centre, “Which way to your beautiful bridge?” The young woman at the desk asked me, with a puzzled expression, “Bridge?” I guess she was just too familiar with it. You have captured some beautiful images of the Tyne bridge. Such an iconic structure in the North East. 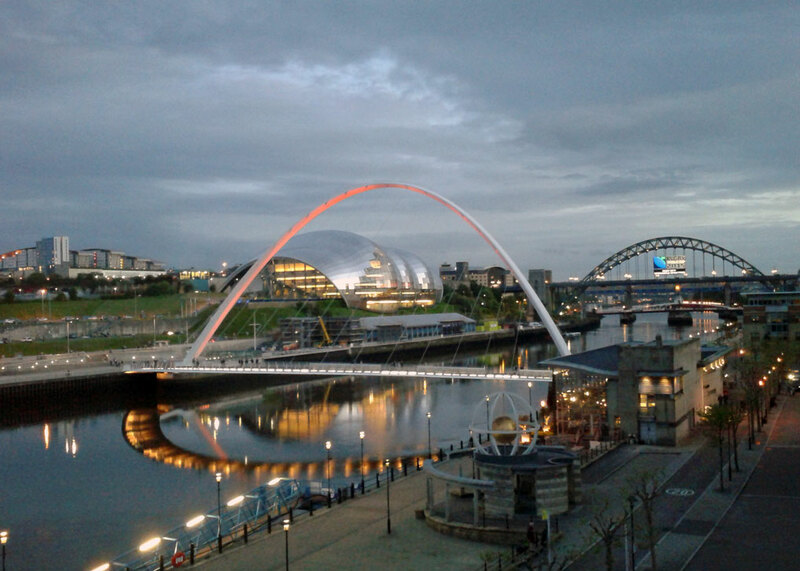 I have recently returned from my hols to Newcastle and Northumberland. 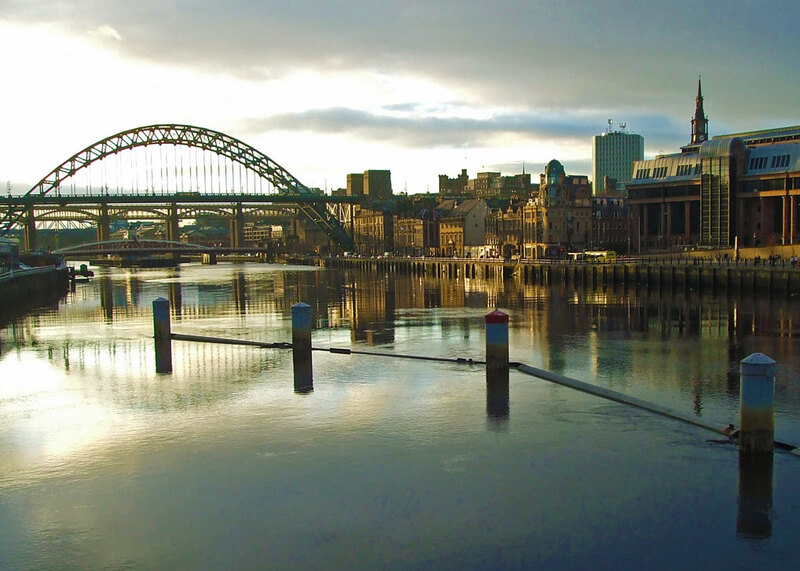 I fell in love with Newcastle many years ago. I was on a business trip and one of my northern colleagues pointed out the historical sites of Newcastle to me as we were walked back to our hotel. Great photos. Quite impressive bridges. The Sydney Harbour bridge is my very favourite bridge Mike so the Tyne bridge seems very familiar to me, it looks especially fabulous bathed in warm light! It’s very impressive indeed and I love the pictures with the two bridges in a row. These are great pictures, Mike!! What an interesting and unique bridge; I’ve seen this bridge mentioned in a book or two, but these are the first pictures I’ve seen. I love the design! Thanks for sharing these, and I hope you have a great weekend. Fabulous photos of the bridges. Watching Vera has made me want to see those bridges and surrounding bleak countryside (if it’s even filmed there). That last shot makes me want to be sitting next to a window of a bookstore/coffee shop, looking out over the water as nighttime closes in. Very striking bridges aren’t they! I love the ‘eyelid’ bridge (your last two photos) and was lucky enough to see it blink when we were up there a couple of years ago. But the whole set of bridges makes a rather impressive sight. Love the reflections in your photos. Wonderful pics, Mike! Especially that first one.